The final installment in feminist critic Anita Sarkeesian’s look at the depiction of women in video games ran today, focusing on how games depict women (and men) as sidekicks. The 11-minute episode concludes two eight-episode seasons of possibly the most controversial series of cultural criticism about games in the medium’s history. Sarkeesian announced the project five years ago, trying to draw $6,000 on Kickstarter and instead pulling in nearly $160,000 from just under 7,000 backers. From the start, Sarkeesian made clear her intent to explore how women are depicted in games. For all the financial support Sarkeesian and her project received, she also received harassment and fierce criticism, much of it from people intolerant of even her generally mild critique of video games and hawkishly scouring her work for possible errors or missing counter-examples. 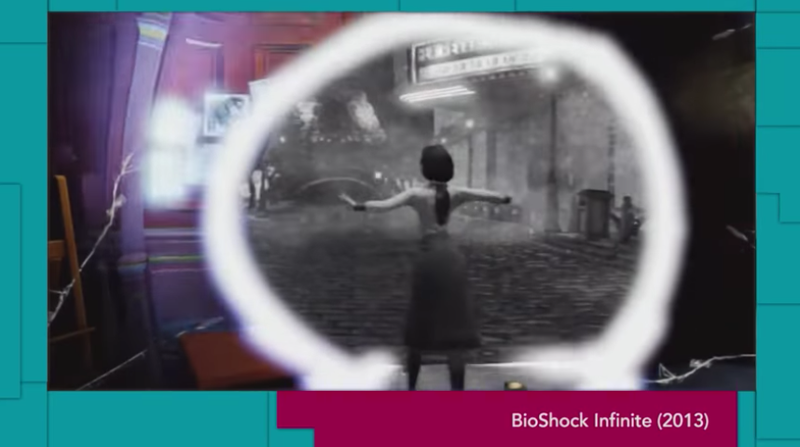 Today’s final video focuses on the “lady sidekick,” with special attention paid to BioShock Infinite’s Elizabeth, at least how she plays (or doesn’t) in the base game. The general idea is that games have a propensity to include women in support roles that involve helping and offering encouragement but not really having much agency or character themselves. It’s no shock that Resident Evil 4 takes some lumps in this one, but there’s also praise for the The Last of Us: Left Behind and more recent Gears of War games. And for those who tend to respond to these videos with questions about how men fare under the same tropes, she tackles that, too. Gaming has changed in many ways in the last five years since Sarkeesian’s project began. Women do seem more present in games—as protagonists and enemies—and in game development—AAA and indie. Sarkeesian’s project, if nothing else, helped propel a lot of discussion about women and games, about what matters and what doesn’t. And she got it all done before Valve could even release Half-Life 3.